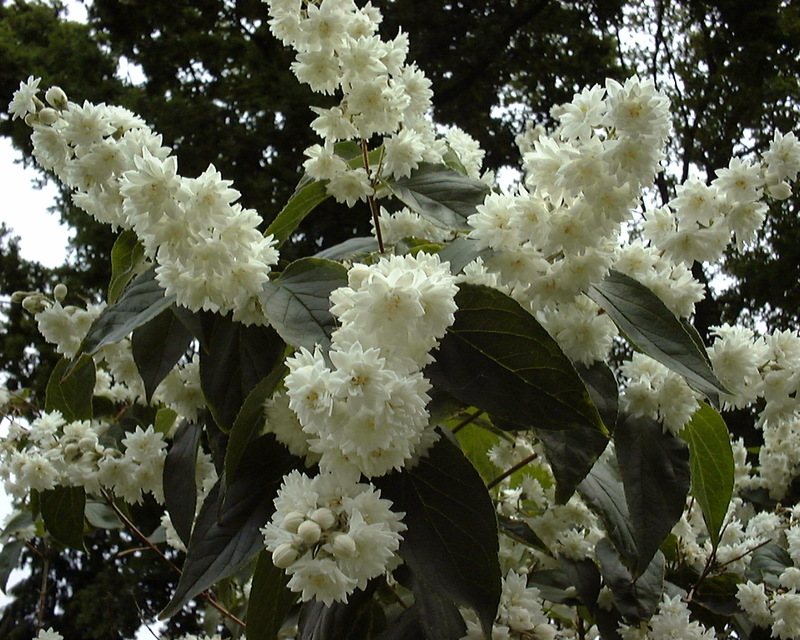 Deutzia scabra is a shrub to 3 m tall, older stems hollow, young bark brown, hairy, old bark peeling. Leaves opposite, egg-shaped, 10 cm long, 5 cm wide, tip pointed, base rounded, margin toothed, dull green, hairy on both sides. Flowers white, 2 cm wide, in clusters at ends of stems, June (Dirr 1990).